To really give your plants a head start, opt for compost instead of mulch. This adds nutrients into the soil and helps improve the structure of the soil. For example, if soil is heavy with clay, compost can help lighten it up. The downside of compost? While your plants will love it, weeds are also plants – and they love compost too. Whether adding mulch or compost, remember to keep it an inch or two away from the base of your plants, including shrubs and trees. If soil, compost, mulch, etc. is against the trunks of woody plants, it can lead to rot or help insect damage go unnoticed. 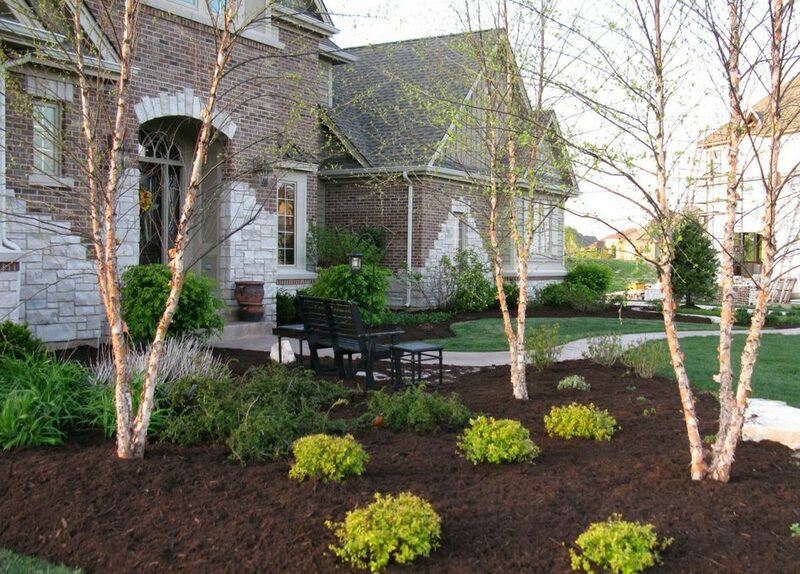 Blessing Landscapes can make your yard look like new again. Contact us to discuss a plan that’s right for you.